Saperavi Wine Prize 2017 tasting was held on December 15th in Tbilisi, on the premises of International Chamber of Commerce (ICC Georgia). 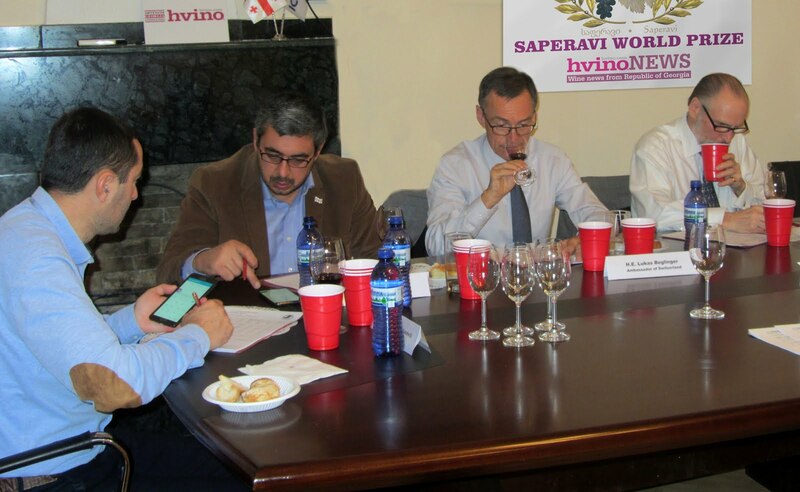 Saperavi World Prize 2017 is the new international wine contest in Georgia, which brings together the wines from winemakers from around the world who use the Saperavi variety. Saperavi is a grape variety native to Georgia, which is becoming increasingly popular with winemakers around the world. 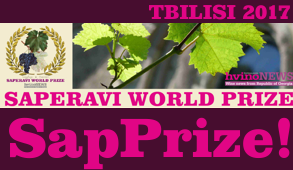 Saperavi World Prize (“SapPrize”) is conceived to become not only a wine contest of Saperavi wines produced in all continents, but a meeting point of international winemakers and Georgian tradition-keepers, backed by eight millennia-old winemaking history of Georgia – the cradle of wine. Official website of SapPrize is sapprize.hvino.com. Entry in SapPrize is free – there is no participation fee. The slogan of the contest is “Made globally, awarded in Georgia: Best Saperavi wines produced abroad”, because in 2017 SapPrize is open to winemakers from abroad (outside Georgia) who produce wines from Saperavi variety. SapPrize will be an annual event. Permanent location of SapPrize is Tbilisi, Georgia. Small and large wineries from several continents have submitted wine samples to SapPrize. Wines came from Australia (14 wines), United States (4 wines), Azerbaijan (3 samples), Kazakhstan (2 samples), Russia (2 samples) and one wine each from Armenia and New Zealand. 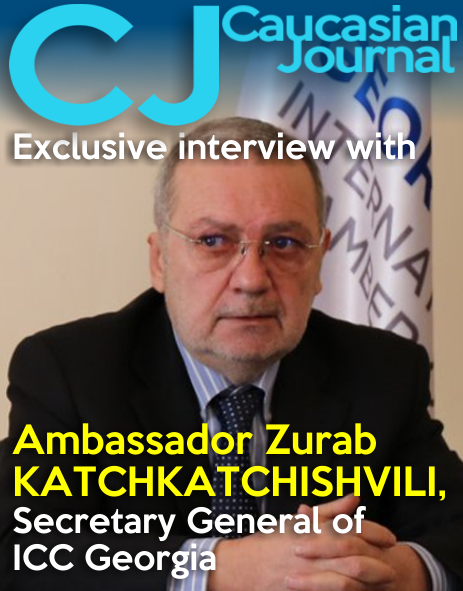 Saperavi World Prize will award unique and precious prizes, hand-made by leading Georgian jewelers from Zenaari company – official partner of SapPrize. 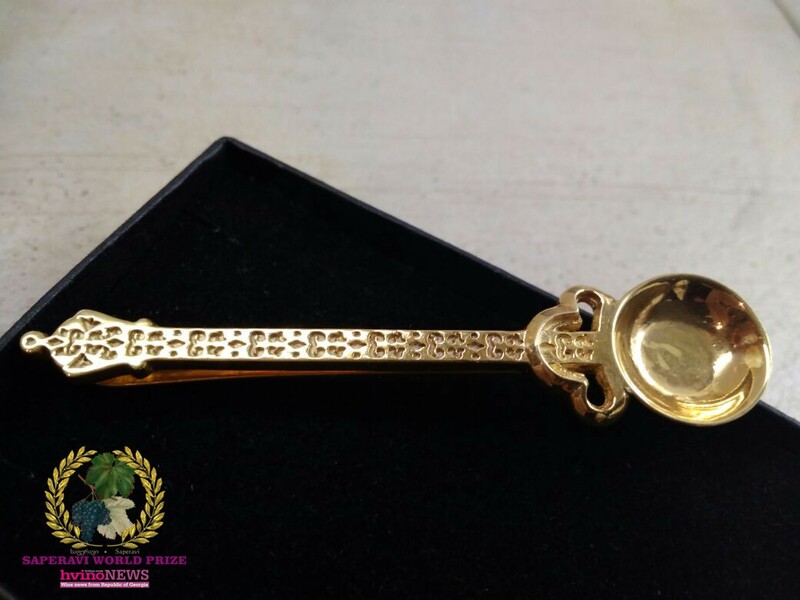 The gold, silver, and bronze prizes will be miniature copies of “azarpesha” - ancient Georgian wine vessels, usually made of silver or gold. 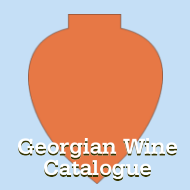 These richly decorated objects, which are now rare antique collectibles, where chosen by SapPrize organizers to underline special role of wine in Georgia’s history and culture. The winners of Saperavi World Prize will be announced at a special ceremony, the date of which will be specified later. 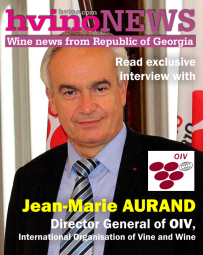 “It is really wonderful that there is now a special event for Saperavi a grape so strongly associated with Georgia and its wines. I would like to wish great success to this very exciting event”, said Gerard Basset - one of the world’s most distinguished wine experts. Mr. Basset is World Champion Sommelier, Master of Wine, Wine MBA, and Officer of the Order of the British Empire. “A Saperavi World Prize sounds a very exciting initiative and should certainly help raise awareness for Georgia’s iconic red grape variety… I had no idea that there were plantings of Saperavi in Australia and the US”, - commented Rosemary George, Master of Wine (UK), author of 11 books on wine, including «The Wines of the South of France», «The Wines of New Zealand», «Walking Through the Vineyards of Tuscany», «The Wines of Chablis». Saperavi World Prize 2017 is organized by Hvino News with support of ICC Georgia. 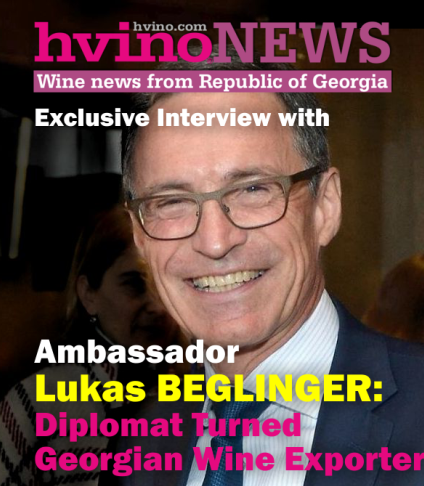 Hvino News is the world’s primary news and information resource on Georgian wine, published daily since 2012, in English and Russian languages. Its traffic has exceeded one million views, reaching readers in over 160 countries. ICC Georgia is the largest and most vocal global Business Association in the country; it includes over 350 corporate and youth members and 28 business associations. The International Chamber of Commerce is the largest business organization in the world that includes over 6.5 million businesses and chambers of commerce. 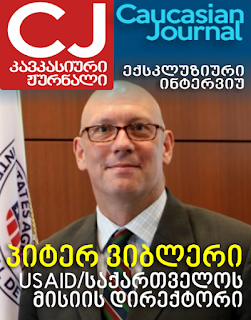 Embassies of Georgia in USA and Australia (Ministry of Foreign Affairs of Georgia); Revenue Service (Ministry of Finance of Georgia); National Intellectual Property Center “Sakpatenti”; Wine Tourism Association; Georgian Wine Club. Official photos: Hvino's Album; ICC's Album.